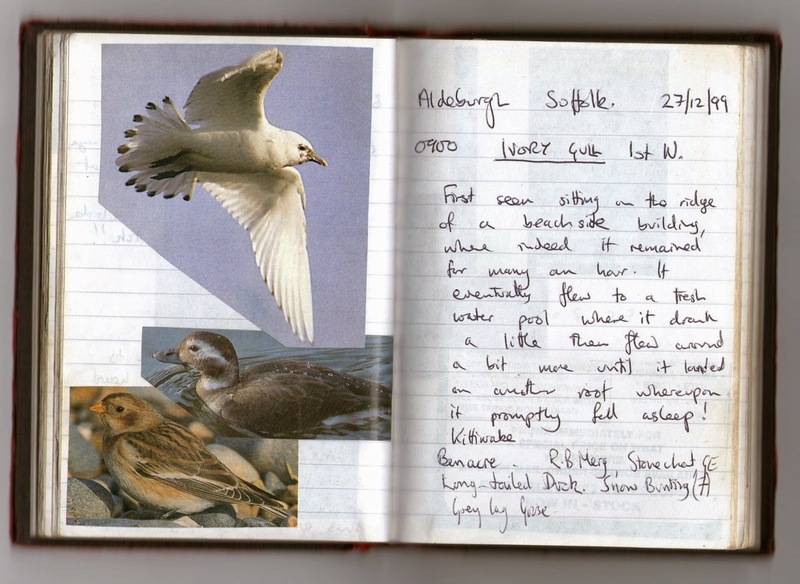 Rick Simpson Birding: Ivory Gull in East Yorkshire. 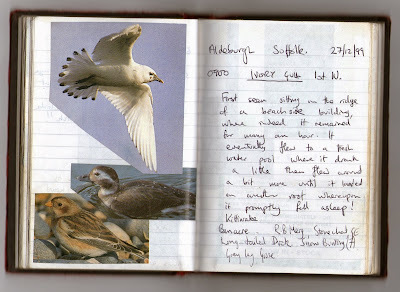 It felt just like the old days, heading up the M1 in torrential rain wondering if I'd lost my senses, car full of folk anxious to see our target bird of the day, Ivory Gull. It was a real twitch. I'll admit we would be considered rather slack in the old days waiting until the bird's umpteenth day to go for it, but life just seems to get in the way sometimes. Arriving at Patrington at about 10:30 (yes I know we should have been there for dawn!) we encountered a large collection of cars and a very muddy road. We parked the car and then learned the bird had flown off a short while before our arrival. Not encouraging, but we trudged out along the mile long tack to where the bird would hopefully return. We, that is myself, Elis and Gyorgy 'Szimi' Szimuly (Szimi's wife Andi and daughter Kea remained in the car; sensible girls!) were happy to find that the bird hadn't in fact flown off, merely flown out into the estuary a little. It was at least visible. The wind was blowing strongly and it was bitter. A number of photographers were sheltering behind a small pumping station-like building waiting for the bird to return to feed on the fish that had been provided, we joined them (the photographers not the fish). Eventually, after I had been tortured by watching birders scoff sarnies and chocolate bars, the bird deigned to return and with much aplomb! and had a drink at the rainwater puddles. 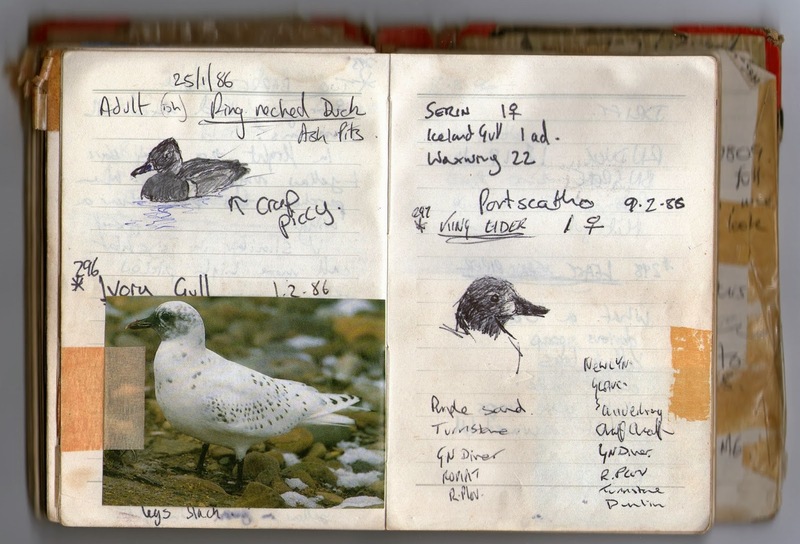 We spent a bit of time watching the bird, my third for the UK; the first being in Saltburn, 01 February 1986 my 296th British tick registered in my notebook. Underneath the photo of the bird we saw, which was cut from a magazine, is a description of the bird. Again photos cut from a birding magazine of the actual bird.